Today I’m sharing a free Christmas Printable. 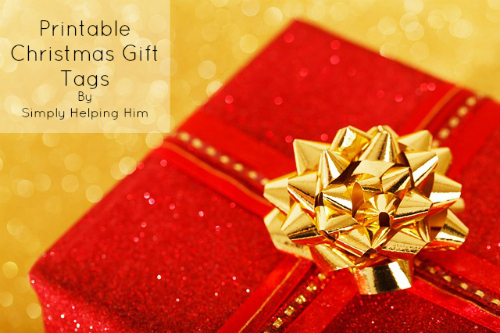 In this download you’ll find both Christian Themed and Christmas Fun Gift Tags. Each tag is either 2″x3″ or 2″x4″. They include a graphic image and “To:” and “From:” will be printed as well. Every one is unique in it’s shape, color style and Christmas graphic. There is a variety with 18 tags total. I hope these are helpful to you in your upcoming Christmas Gift Wrapping! Visit this link to download your free Christmas Gift Tags today. Other Christmas Printables I’ve created this year: Stocking Gift Printables for Hubby, Christmas Party Invitations, Christmas Penmanship Printables with more to come up until Christmas! 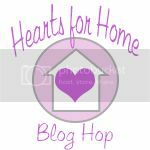 Now onto the Hearts for Home Hop! The post with the most clicks from last week was from Happy and Blessed Home with “Christmas Fun for Preschoolers“.